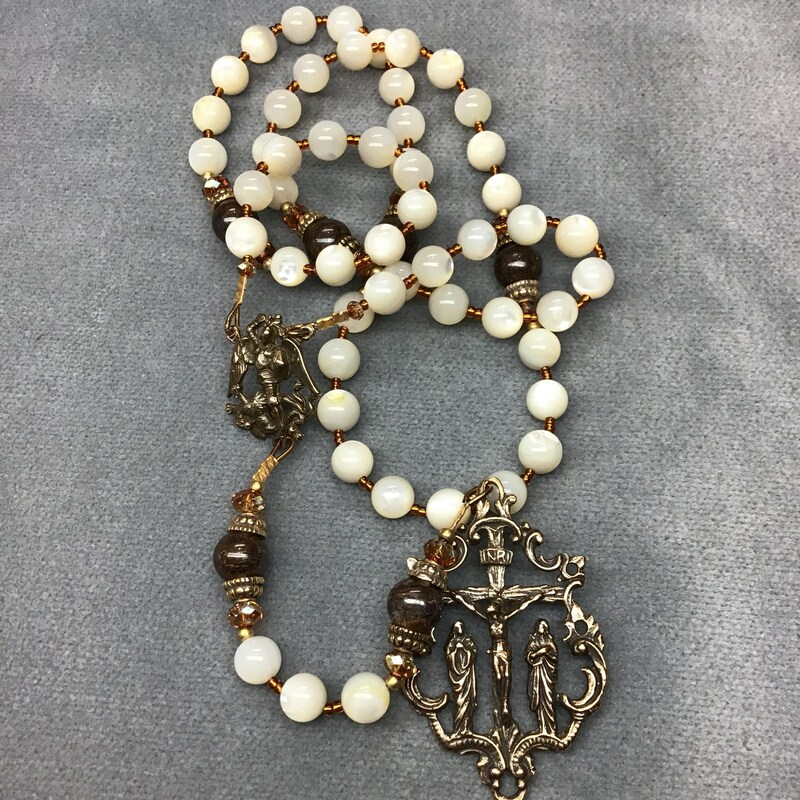 This new Rosary features some of the prettiest Mother of Pearl I’ve ever seen—creamy, not over bleached, with a lovely glow. 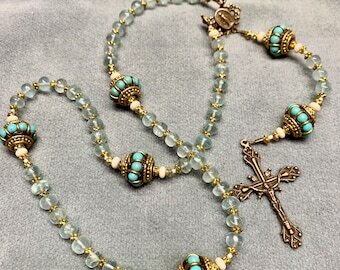 The Our Fathers are rich Bronzite capped in Bali bead caps,and coppery-amber Swarovski Crystal separates the decades from the Our Fathers—matching seed beads separate the Mother of Pearl Hail Marys and continue the burst of color around the Rosary. The Crucifix is gorgeous—the two Marys at the foot of the Cross, encircled in ivy and center of St Michael the Archangel are openwork bronze, hand cast from the antique originals and burnished to a fine patina. This Rosary has been strung on sturdy 49-strand, 40# steel cable and double crimped for durability. 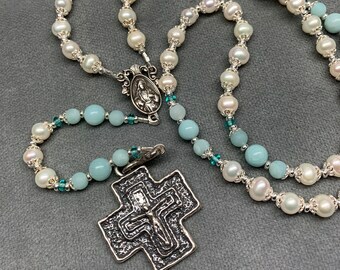 Treated with respect, this Rosary will provide many years of prayer. 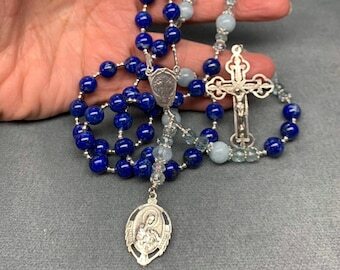 Bead size is 8mm for both the Hail Marys and Our Fathers These beads make a Rosary slightly larger than the typical commercial versions. They are a pleasure to pray. The slightly textural feel due to the bead caps and flanking Crystal on the Our Fathers tell you when the decade is complete with out needing to look--very useful when praying in the dark. 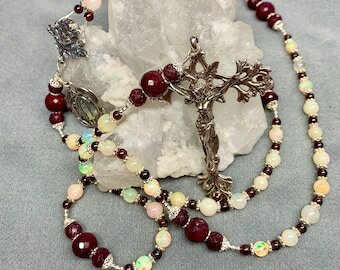 This is a more substantial Rosary due to the larger stones, and has a nice feel in the hand.